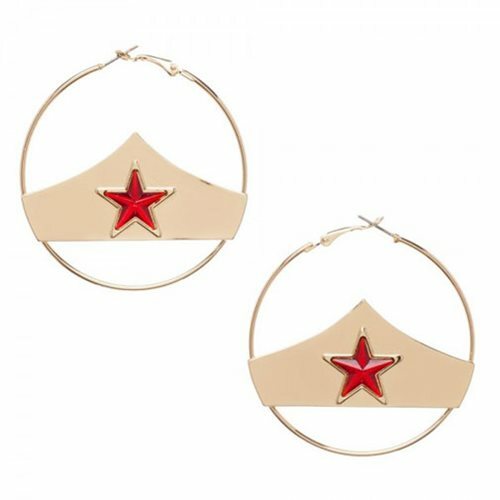 Don these DC Comics Wonder Woman Hoop Earrings and prepare to conquer the forces of evil… or at least your next costume party. Add to your warrior princess look with the matching DC Comics Wonder Woman Headband (sold separately)! Earrings measure approximately 2 1/4-inches in diameter. Ages 14 and up.